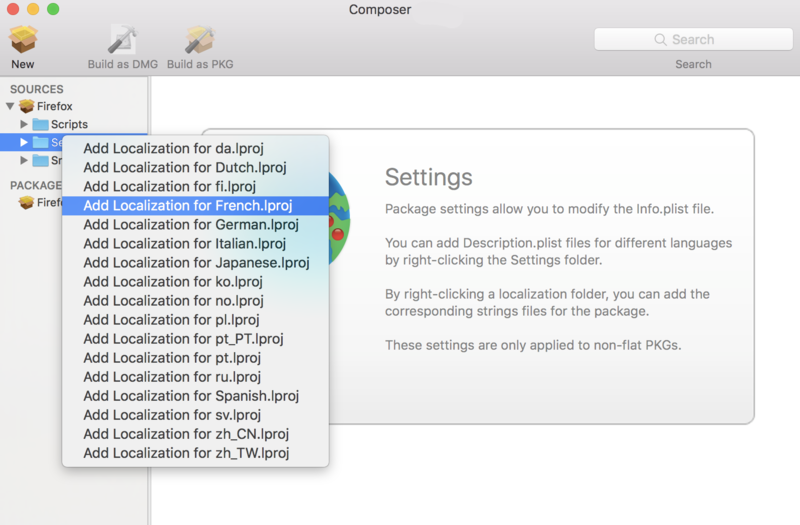 Localizations allow you to customize the language used when displaying package information to a user. By default, a package source only includes an English localization. Control-click (or right-click) Settings and choose the localization that you want to add. Description.plist files—These files display the title of a package and its description in the Installer application. Each localization contains a description.plist file by default. For instructions on how to edit these files, see Editing PLIST Files in Package Sources. Strings files—VolumeCheck.strings and InstallationCheck.strings files are used to localize warning and error messages. These files are only effective when used in conjunction with their corresponding scripts (VolumeCheck and InstallationCheck). For instructions on how to add VolumeCheck and InstallationCheck scripts to a package source, see Adding Scripts to Package Sources. Click the disclosure triangle next to Settings. 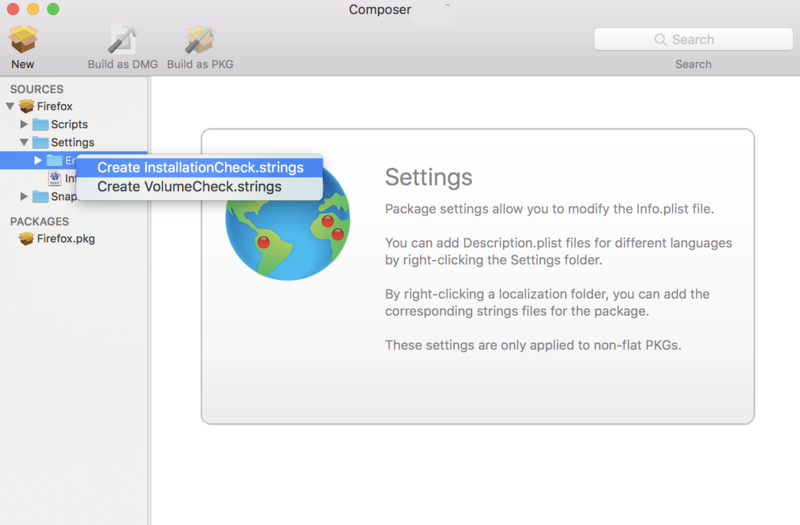 Control-click (or right-click) the language folder you want to add the .strings file to, and select Create InstallationCheck.strings or Create VolumeCheck.strings. Click the .strings file to change its contents in the Package Contents pane.